This week, celebrate Hispanic Heritage Month by creating your very own Mexican Yarn Art, inspired by the Huichul people of Mexico. We will be meeting in the Teen Room on Monday, September 24, from 4:45-5:45 PM. Then on Wednesday, September 26, from 4:45-5:45 PM, come to our monthly meeting of Kingwood Library’s Teen Book Club. Discuss books, book-to-movie adaptations, and enjoy snacks. This month’s Teen Book Club theme is “Teens’ Top Ten.” The list of nominees is out and it is up to teens to vote on their favorites! Read any of the books on the list that you want and then come and share with the group. Books will be available in the Teen Room throughout the month of September. We meet in the Teen Game Room. For teens and tweens in grades 6-12. Next week, October 12 - 18, is Teen Read Week 2014 and HCPL's Book Hunters are on board. 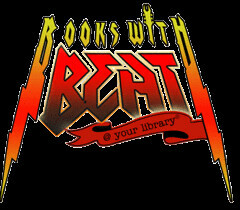 TRW is a national initiative created by the Young Adult Library Services Association (YALSA) to encourage teens to be regular readers and library users. By "regular readers," YALSA means people who read for pleasure and not only because they "have to." You see, eventually the homework assignments are going to stop coming, but the benefits of reading will keep growing over a lifetime. Book Hunters' sole purpose is to match readers of any age with books that reflect their interests, their passions, and their tastes. It's fast, it's easy, it's online, and it's free to get a reading list all your own. Adults—usually teachers or well-meaning relatives—are always urging teens to read one book or another, and most of the time it is not necessarily because the book is particularly good, but because it is supposed to be good for the teen. Libraries, families and other organizations that participate in Teen Read Week do just the opposite. They encourage teens to read for the sheer pleasure of it.